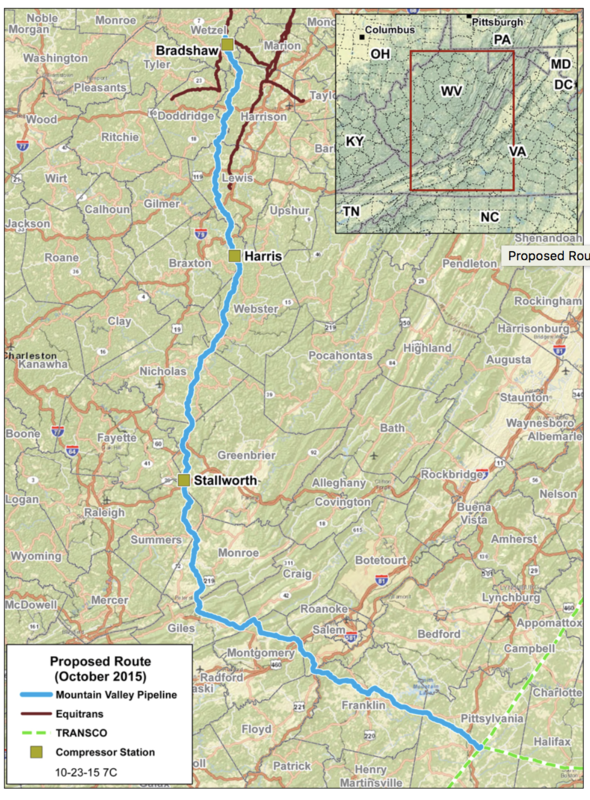 FERC has approved Mountain Valley Pipeline LLC’s request to commence construction of discontiguous portions of the Mountain Valley Pipeline in Doddridge, Harrison, Monroe, and Nicholas counties in West Virginia, and Craig, Giles, and Montgomery Counties in Virginia. Under the terms of the order, construction may also proceed within the boundaries of the Greater Newport Rural Historic District between about mileposts 210.8 and 216.9. According to FERC’s Paul Friedman, the company’s Management Summary indicates there will be no on-the-ground cultural resources fieldwork within the historic district as part of the Treatment Plan, and that all treatment measures, including but not limited to revegetation and preservation of buildings, would be implemented after installation of the pipeline.